can help you build the kitchen of your dreams. 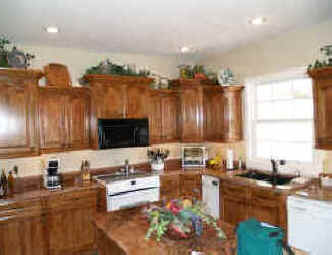 The cherry cabinets alond with cherry corbels and painted iron trim adds elegance to any room. Dovetailed joints give the drawers their strength. 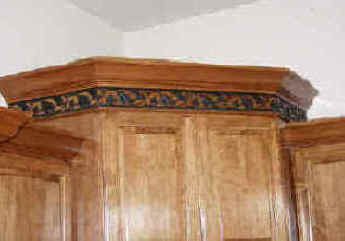 Painted trim is just one way to personalize your cabinetry. Molding and accents can also add a personal touch. 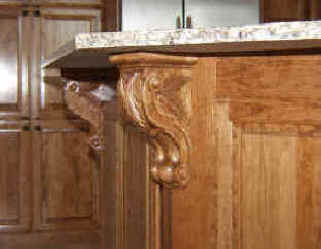 Corbels add strength and beauty. Many styles and sizes can be selected. 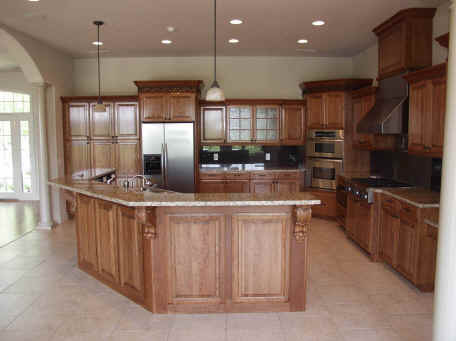 This cherry kitchen displays multi level upper cabinets with raised panel doors. 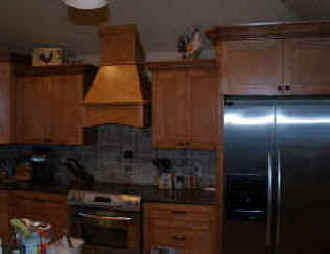 These maple cabinets have a unique range hood. 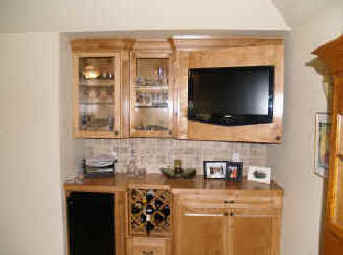 This maple cabinet not only has a built in refrigerator and wine rack but also displays a 32" flat screen TV. 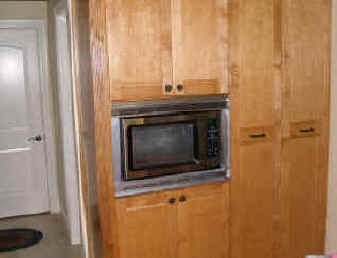 This maple cabinet is Mission style and has a completely built in microwave.